“There’s been a change in the plans. You and your team are changing cities,” I heard from the other end of the phone. I’m sure everyone who is on my team was confused in the plans changing. It’s hard enough to plan on what kind of wardrobe to bring - so when the climate of where you’re going changes in the middle of planning, it tends to complicate things. The dialogue above is part of the conversation I had with one of our own in the Extreme organization, David Morrison. Since being on the mission field, our whole team has had interest in going to visit the city of Cuenca. Even though the Lord didn’t send us there, the people of Cuenca have always had a special place in my heart. Our support parents on the team planned for us all to go on a “family trip” to Cuenca in the month of November! Before we went, everyone was completely, overwhelmingly, super excited for the anticipation of what our time there would be like! I asked several people what they were looking most forward to: the majority said 1) time without work and 2) going somewhere new. To have rest and time together as a team. To see how the church here in Manta is doing and how it can withstand a Sunday without us, the missionary team, around. Tim and Rebekah, our support family, take care of us in so many ways! They want what’s best for us mentally, emotionally, physically and most of all spiritually. Each day, we purposefully spent time in the presence of the Lord together and outside in His creation. The “theme” for the week was “Love.” The question was raised many times, “How can we love one another better?” We prayed a lot to ask God to help us love better; to grow us deeper in love - not only with each other but with Him as servants of Christ. 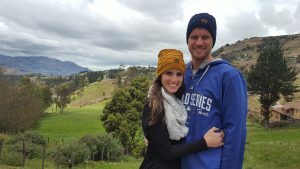 Tim and Rebekah’s desire was that we as a team family could have the opportunity to enjoy un-rushed, stress-free time together in the presence of the Lord and in a beautiful atmosphere. The Lord definitely met those expectations! We had several times of exploring where we got to see the Inca ruins, go into the city center of Cuenca and just adventure around. (...and when I say "adventure around", I mean "get lost"!) We had times of relaxing, worshiping and playing games together as a team. If I were to sum up our time together, I would say it was a refresher boost for the last leg of our journey here. Cuenca is a refreshing, clean and beautiful city! It’s interesting the perspective you can get when you take yourself out of your normal and look at things from a distance. 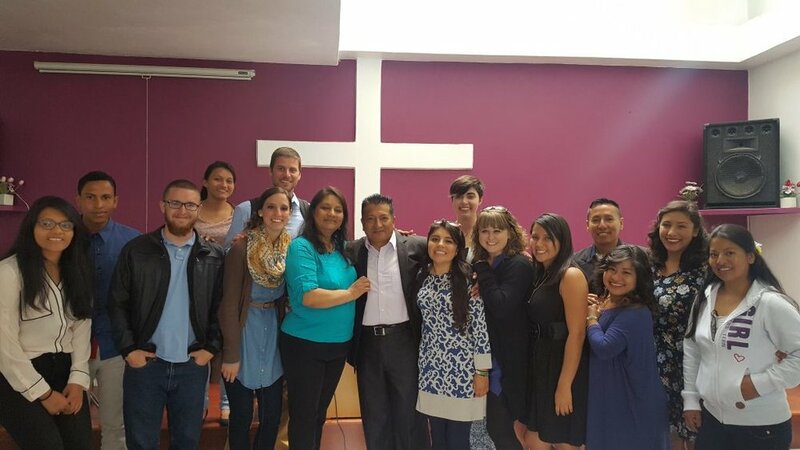 For example, when we were on the trip, a few of us were talking about the fact that Cuenca was where we were supposed to have our church plant. Up until that point, I couldn’t truly understand why that wasn’t the right city for us to serve in. But just being there, it all made sense. I’m not even sure how to explain the reasons...but what the few of us resumed is that it’s true: God really did know what He was doing when He put us in Manta. I continue to pray for the people of Cuenca. I think it is a beautiful place to visit and explore. As we finish up our time in Manta these next seven months, I hope to be encouraged that we are exactly where God wants all 11 of us, our team family, to be. What did the team do for church on Sunday? We visited the Nazarene church in Cuenca. We heard from Pastor Mario who spoke on Jeremiah 29:11 and the thoughts God has about us. We spent a lot of time praying for the church in Manta. As I mentioned earlier, part of the purpose of this trip was to see how the church plant responds to us being gone. Our support dad, Tim, purposefully planned on having prayer at the same time as they have the prayer service in Manta so we could continue to try and maintain unity together. We wanted the presence of God not only to be in Cuenca with us but also to be in MANTA during the service! When we returned from our trip, we heard, first hand, from the pastors and several members of the church that the Holy Spirit of God was absolutely present in Manta! The service went off smoothly, logistics went well and we are now able to see where we lack and what we can be doing better to prepare as our time here is closing in on 7 months. I thank God for the blessings we were able to encounter on our family vacation for a few days. Although few, the work God did in our hearts will help us to continue to grow us and, hopefully, spill out to other people that we come in contact with.